Childhood sexual abuse implanted the lie I’m alone deeply into my heart. That lie brought other companions with it: I’m unlovable, I’m a failure, I’m in control, and It’s all my fault. My perpetrators were adults. They were supposed to know what they were doing. Something must be wrong with me. Maybe I deserved this. I must be to blame. It’s all my fault. I felt responsible. That exaggerated sense of responsibility spread to other areas of my life. If anything went wrong, I assumed it was my fault and I didn’t do it right. The truth? The abuse was their fault. I had no part in it and I was the victim. It’s all my fault? I’m not that powerful. I’m not in control. I’m not God. When something goes wrong, I can consider if I had a part in it, confess, ask forgiveness, and then forgive myself. I might feel like it’s all my fault, but feelings are not facts. Now, I believe I’m responsible for some things, but not everything. I’m learning to live that way. Lie #4: "I’m in Control"
Because of sexual abuse in early childhood, I grew up infected with a number of lies. The most basic one was I’m alone. Following closely behind were I’m unlovable and I’m a failure. I bought I’m a failure because I believed I’m in control. The people who should have protected me were my abusers. That left things up to me. If it was going to stop, I had to act. I set out to control my situation and the people around me. I tried to become very small—invisible, or not attracting notice. When being ignored didn’t work, I was compliant, doing exactly what I was told. If that failed, I’d perform to distract them–sing, dance, or act silly. I believed it was up to me to keep bad stuff from happening. But I knew that was impossible and that unpleasant things were going to happen. That left me with a sense of despair and failure. The truth? Only God is in control. I’m in control of what I do with the thoughts that come into my mind. I’m not in control of circumstances, people, or my own instinctual, automatic reactions. I’m not that powerful, but I am very significant. I might feel that I’m in control, that I’m the man. I’m glad I’m not the man. Feelings are not facts. I now believe God is in control, not me. I’m learning to live that out. As a result of childhood sexual abuse, I bought the lie that I’m alone. That led to another lie: I’m unlovable. Right on the heels of #2 is the lie I’m a failure. My translation? I’m no good. I’m nothing and less than nothing. I’ll never really succeed (no matter what it looks like). I’m a failure. Perhaps that's why I became an overachieving student and athlete. I had great success in a number of areas. But I never felt like a success. The performance was never perfect, and there was always the next accomplishment out there waiting. I believed I’d never really succeed at anything, but thought I must succeed at everything. I believed I was a failure, yet failure was not an option. That’s a vicious cycle, isn't it? The truth? Only God can define true success. All real success comes from trusting Him. I’ll succeed sometimes. I’ll fail other times. I can learn from those failures and grow. I may feel like a failure here and there. I’m glad feelings are not facts. Now I believe I’m a success. I’m learning to live that out. The basic lie I believed as a result of my abuse was I’m alone. Following closely is the companion lie, I’m unlovable. I’m alone. Nobody loves me. Nobody really cares. If they really cared, they wouldn’t have abused me. Because they abused me, there must be something deeply wrong with me. I’m wrong. I’m unlovable. That’s why it happened. This bothers me because I have the expectation that everyone should like me. Everybody should love me. I’m shocked when they don’t. So I unconsciously set myself up to feel rejected. When someone doesn’t like me, it proves the lie is actually the truth. When I get criticized, rejected, or ignored, see there, it’s just like I thought. Nobody loves me because I’m unlovable. The truth? God loves me perfectly. People love me imperfectly. And there are people who love me. Not everyone will love or like me. To expect this is to invite disappointment. At times, I may feel like no one loves me—like I’m unlovable. But if God loves me, that means I’m lovable. I’m glad feelings are not facts. I now believe I’m lovable. I’m learning to live that out. 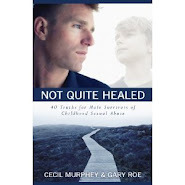 We all have lies we believe, some as a result of the sexual abuse we endured. In my case, the most powerful and basic one is that I’m alone. The abuse happened in early childhood. My only sibling was already in college. I had no friends my age. Some of the people designated to nurture and protect me were perpetrators. Secrecy was the name of the game. I was isolated. Alone. I felt alone, and I bought the lie. I created a rich, internal fantasy world in order to survive. I grew quiet and compliant. I began to live out I’m alone. The truth, of course, is that I’m not alone. God is always with me. There are people who are very involved in my life and want to be. I’m far from alone. But it’s also true that I feel alone at times. I may feel like no one understands or cares. I’m glad feelings are not facts. I have a constant companion who wants to be with me. 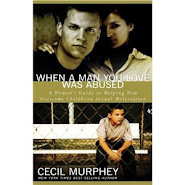 He defines me, not the abuse I endured. I’m victorious when I live the truth I’m not alone. I no longer believe I’m alone. I’m learning to live that way. Sexual abuse wasn’t the only secret in my family. Deception was also an everyday affair. One of the main goals in our family was to appear better, smarter, and more talented than we really were. We put on a show, but we were fakes. Fear caused me to pull deep within myself. I was terrified of people. I hardly ever said anything. I began hiding. Keeping secrets became a way of life. I created my own little world to live in and I was the hero, the rock star, the savior. It didn’t help that I wasn’t allowed to play with other kids my age. The adult controlled the outside influences. I got used to my rich inner world where I was in control. The message I was living was clear. When in pain, trust no one. I’m fundamentally alone. My secret life was keeping me from real life. I repressed the sexual abuse for 40 years. Then the flashbacks started. That secret made me sick. When the silence was shattered, the healing began. I still wrongly keep some things secret, at times without knowing it. I withhold myself out of fear. I’m tired of faking it. I’m ready to live more in the real world. While enduring the sexual attacks, many of us made promises to ourselves. That was our way to comfort ourselves. The sad part is that the promises were made when we were too young to understand the true implications. Our self-promises reflect the invasion of our boundaries and our inability to protect ourselves. They also echo the violation of trust that took place. What are your promises? Here are common ones. * I'll never trust anyone. * I'll never love another person. * I'll never share my feelings. * I'll never be vulnerable to anyone. * I'll use masks to protect my true persona and never take them off. * I won't let anyone see me cry. * I'll be in control in every situation. * I'll be perfect so no one sees the damage in me. * I'll constantly wear a smile, so no one suspects the depression I hide. As we heal, we can learn to understand the promises we made to ourselves in the agony and rage of sexual violation. It's not healthy to carry those self-promises because they distort relationships and leave us with impoverished lives. Intentionally abandoning our self-promises will usually be difficult, but results are worth it. We open ourselves to love, happiness, and intimacy. A friend sent me this quote by Leonard Cohen: "Ring the bells that still can ring, forget your perfect offering, there is a crack in everything, that's how the light gets in." 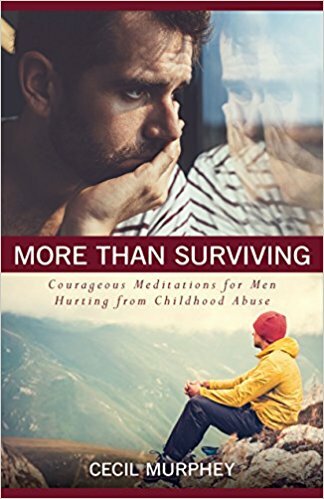 As a survivor of childhood sexual abuse, I've viewed myself as damaged—not scratched, but seriously life-threateningly damaged. I spent most of my energy covering over the cracks that symbolized the damage. I labored endlessly to hide the cracks and hoped they would disappear. Most times, I was more willing to allow the internal pain, suffering, and anxiety to build to a bursting point rather than allow others to see the cracks in my façade. The Cohen quote gave me a new perspective. While I was hiding, I didn't realize I was blocking out the sunlight that brings joy into life and makes me a person others desire to be around. By patching over the cracks, I lost the opportunity for the real me to ring out with joyful, healing sounds. Today, I accept the cracks, large and small, and I feel joy in the resonance my life has in my ability to encourage and support others. Sometimes there are harsh tones that represent the mistakes of life. I pray to learn from them, and not allow them to silence my ring. My tone is distinctive, because I embrace the uniqueness of my own bell. "What drives you?" my editor asked. I thought it was a strange question and I said, "That's just the way I am." That was as true as I knew how to answer then. Today I would say, "I was driven by the pain of my abuse. I thought I was worthless. I worked extremely hard—constantly—to prove that I was as good as anyone else." As of this writing, I have published 126 books in 36 years. That's the evidence of being driven. Was I conscious of that compulsion? Absolutely not. In retrospect I realize that I didn't allow myself to feel tired. For me, to be tired implied that I was lazy because only lazy people complained of being tired. I still write a great deal, but there is now a difference. Now it's an ingrained habit and I still have a lot of ideas and energy. But I do it from a different place. In the past, it was lazima—a Swahili word. An obligation. Something I had to do. These days, it's not as much what I do, but the part of me that does it. I love to write. I enjoy the hours in front of my computer. But I can also stop working at 4:00 in the afternoon or take off Saturday and Sunday without guilt—something I couldn't do a decade ago. today I do the driving and enjoy the scenery.